Please join us for Kayla Feder Sensei's first visit to Aikido'Ka. Feder Sensei is a terrific instructor and aikidoist. She is, simply, one of the most fun people to train with anywhere, anytime. Enjoy! The difference between a superb aikidoist and everyone else is not athleticism or even many years of practice. 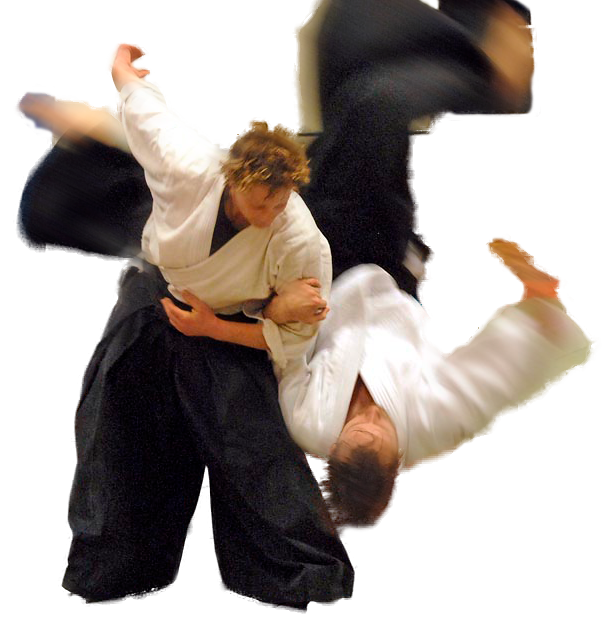 It’s understanding and applying the basic principles which underlie all aikido technique. That’s what makes for effective and beautiful aikido. If you’re on the path to becoming a superb aikidoist, then this seminar is for you. Why your ukemi body “shapes” largely control whether you have effective position and can safely stay with your nage. How these body shapes are important for your success as nage. How your hand-center unification enables you to easily apply aikido principles. How Zanshin supports effortless aikido before, during, and after your technique. In our last class, we’ll bring it all together and apply these principles to weapons. Kayla Feder Sensei began her Aikido training in 1973 when she was 9-years-old. She has trained continuously for 43 years. When she was 16, Sensei traveled to Iwama, Japan to study with Morihiro Saito Shihan, 9th dan. In subsequent trips to Japan, Feder Sensei trained with a number of other Shihan who trained under the founder. Feder Sensei has taught seminars throughout the US, Europe, and Israel. In addition to her Aikido accomplishments, she received a Masters degree in Holistic Health Education from JFK University in 1998. Feder Sensei’s teaching style supports the individual growth of each student. Her training and teaching are warm and welcoming. 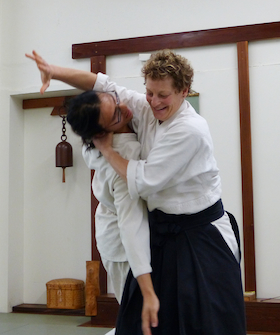 You will immensely enjoy training with Kayla Feder Sensei.